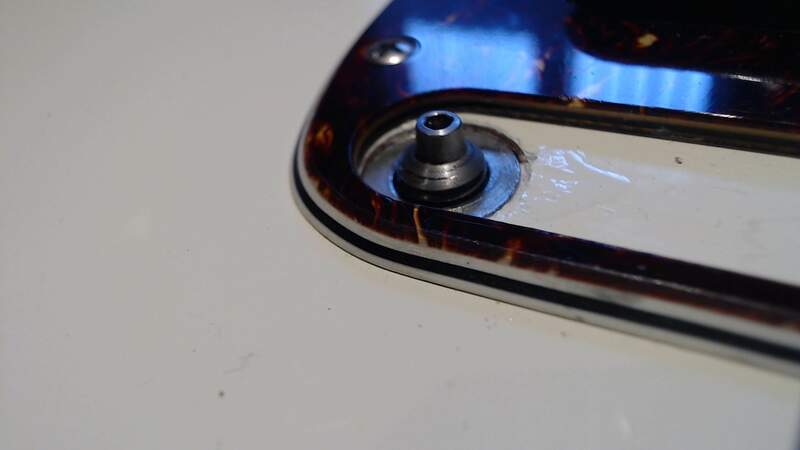 Move the bridge so that the base plate is parallel with the face of the guitar body, in this position it will be free to rock with the movement of the tremolo equally in either direction. 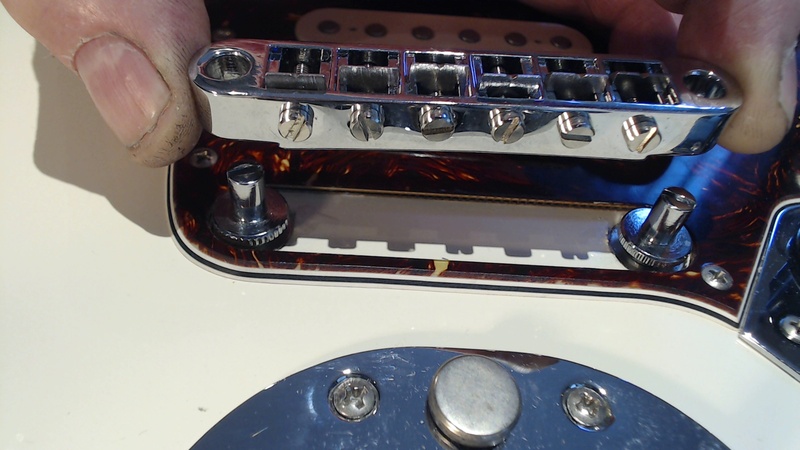 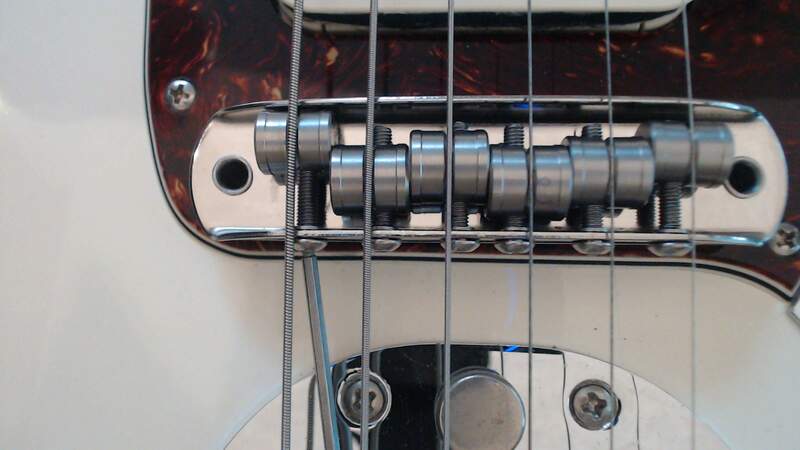 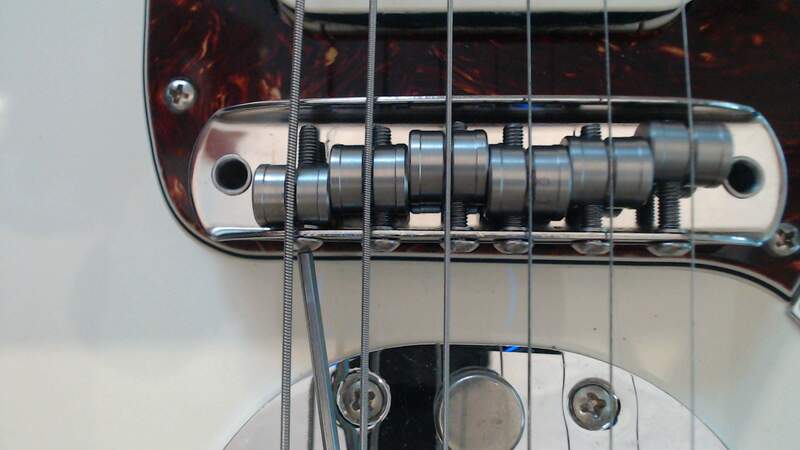 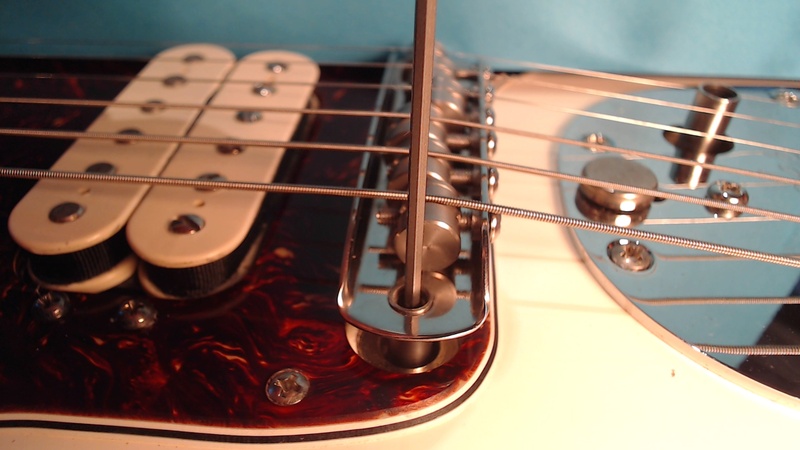 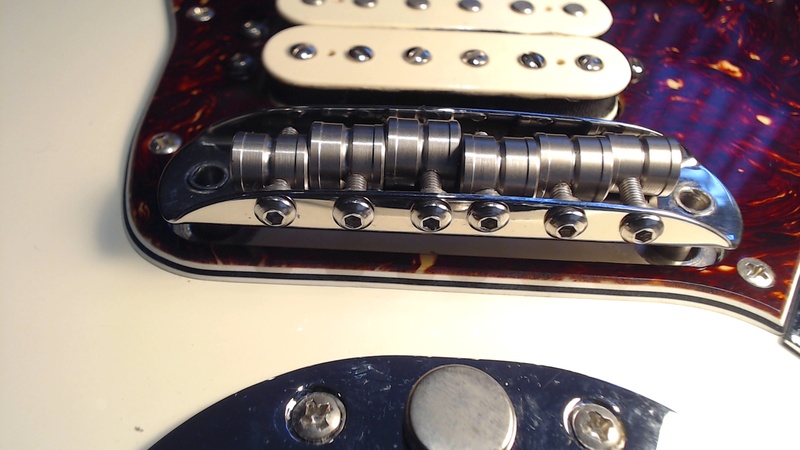 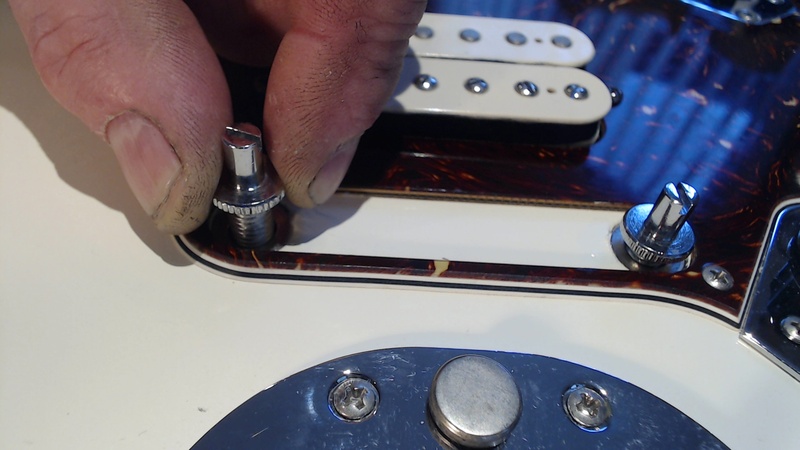 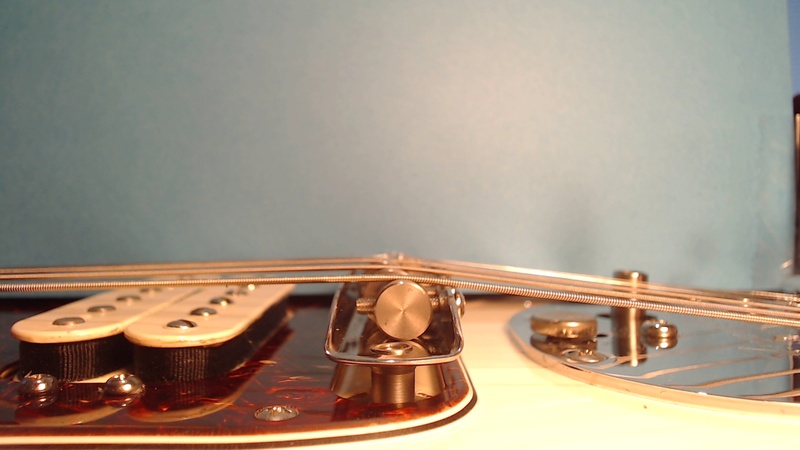 If the saddle reaches either edge of the bridge when setting the intonation, as shown below, please do not continue turning the adjusting screw. If you do the screw retaining disc will be forced out.